Are you looking for ideas for Halloween activities, decorations and costumes for the kids? Well, look not further – we’ve created a step by step guide with exactly that. 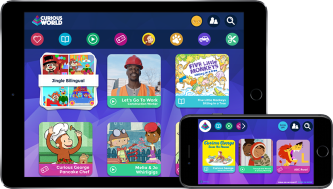 What’s more – your kids can watch all the videos on the Curious World app. Login and search ‘Halloween’ to see the complete Halloween collection. Get the kids crafting their very own Halloween costume with our Superpower Heroes series! Get them turning old tissue boxes into dinosaur feet to stomp through the neighbourhood. Or using cereal boxes to transform themselves into a Flora Fairy that helps everything grow. Having a Halloween party? Why buy the decorations when you can make them at home. Get the kids turning toilet paper tubes into super scary bats which you can hang from the ceiling. For this Spider web game, you only need 3 things; a ball of yarn, some jingle bells and some socks. 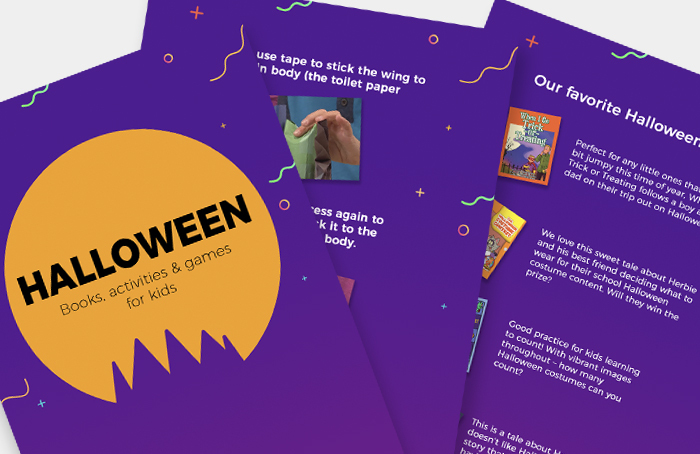 Get kids to make it themselves and you’ve got hours of Halloween fun! If your kids like a bedtime story, or are learning to read, then we’ve put together a list of our favorite books from the Curious World app. Take a look at the guide to read about our favorites and see what kids will learn.